The organisers of Lake of Stars Festival have hailed Hivos and other players for supporting them ahead of the main event set for Kabumba Hotel in Salima from September 28 – 30. 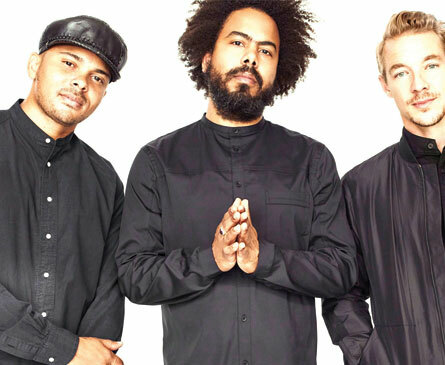 The festival which will feature international acts such as United States of America (USA) group Major Lazer and Kenya’s Sauti Sol is this year celebrating its 15th anniversary. Lake of Stars Festival Country Coordinator, Yolanda Ng’oma, said Hivos has been there for them funding their activities. “Hivos who fully funded our Set It Off event in January this year has continued to be a big supporter of the festival,” Ng’oma said. She said the Set It Off event held at the Great Hall in Zomba featuring female acts, was geared towards creating plasticity for artistic expression for women in the arts. “The event focused on ensuring more gender balance and female representation in the arts and events industry,” Ng’oma said. She said following this partnership, Hivos has taken a step further by providing a grant to the festival. “This grant is geared towards supporting the talent, logistics and staffing requirements of the festival thereby building on their mandate to continue to create capacity for artisans in the industry through innovative ways,” she said. Hivos has joined a list of other players in supporting the main festival and they include TNM, FDH, Castel Malawi, Clover and Image Plus. “We are grateful for the continued support Hivos is giving to the arts sector in the country through events and other projects,” Ng’oma said. With people expressing concerning on accommodation at the new venue, Ng’oma admitted that accommodation is a bit of a challenge. “But we are hoping that the proximity of the event will still offer audiences a day return option if they are unable to find accommodation or prefer not to camp,” she said. Project Manager for Open Society (Transparency, Accountability and Freedom of Expression), Baldwin Chiyamwaka, confirmed the support to the festival yesterday. “We are happy to be part and parcel of the festival in supporting talent and we are supporting with so much on the budget,” Chiyamwaka said. Meanwhile artists in Zambia, Zimbabwe and Malawi have a chance to get grants following a call for proposals by Hivos Southern Africa. The deadline for receiving the proposals is September 19 2018. According to the call, Hivos Southern Africa is seeking proposals from artistic collectives, creative hubs and groups of creative content makers in the audio-visual sectors. A statement from Hivos says these proposals are geared to support the production of more independently creative audio visual artistic content and that the the intention is to also support these initiatives to become more independent, self-sufficient and to reach larger audiences. The statement says artistic imagination, the production of independent and conscious work that challenges or questions norms in society will be an important factor in the awarding of grants. Tom Sangala – who has written 3270 posts on The Times Group.